High-power transformers are basic components of electrical power supply systems. They switch AC voltage between different voltage levels, which makes them essential for electricity generation, transmission or distribution in power plants, industrial operations and electrical substations. High-power transformers are set up outdoors. There, they have to resist the wind and weather – and the moisture in rain forests, salt spray on the coast, blazing heat in desert regions or icy cold at the poles. The fans used in the cooling systems have to be just as tough. Robust technology that works reliably and does not require maintenance is in demand. Every time a transformer has an outage, this has fatal consequences since the power supply can no longer be guaranteed. Transformers generate waste heat when they are in operation and oil is the coolant of choice. It transfers the heat through convection (or supported by pump systems) to the transformer housing, which has cooling fins or radiators similar to heat exchangers on the outside. Large high-power transformers require additional cooling: fans that prevent damage from overheating despite cooling surfaces that are as compact as possible. The fans have to satisfy special requirements so they can withstand harsh outdoor deployment conditions. It isn't enough for fans to support the required air performance. Properties such as corrosion resistance even in high humidity, no-maintenance operation without lubrication, and reliable functioning over as long a service life as possible are just as important. And when loads fluctuate, it is also beneficial when the cooling capacity can adjust to actual demand. It does not always make sense to switch off individual fans when the transformer is in partial-load operation because in this state, uncooled ‘hot spots’ can arise on the heat exchanger. If the fans are operating as efficiently as possible, over the years users can save considerable amounts of money and power, which they can feed into the electricity grid. This results in a positive economic benefit for energy operators. If the transformers are near or even in residential areas, the noise they generate plays a role that should not be underestimated either. Motor and fan specialist ebm-papst has addressed this issue by developing special transformer fans. They satisfy all the requirements for sophisticated large transformer cooling as per DIN EN 50216-12 and come in sizes from 500mm to 1,250mm with air performance of up to 13m³/s. They also satisfy requirements with regard to long service life and salt spray resistance (corrosion protection class C5M as per DIN EN ISO 12944), so the fans are suitable for deployment in coastal areas with high salt contents. All the components of the plug-&-play-compatible modules – the fan housing, HyBlade impeller, GreenTech EC motor with integrated electronics or AC asynchronous motor and intake-side guard grille – are perfectly harmonised. For example, aerodynamic optimisation reduces both air turbulence and operating noise. The two motor types satisfy the requirements of the current Ecodesign Directive. The impeller has an aerodynamically ideal form based on combining an aluminium frame with a covering of glass-fibre reinforced plastic. This reduces the noise it produces dramatically, enabling higher efficiency in comparison to traditional blades. The motor mount, which also has a contact protection function, is installed on the intake side. On the outlet side, a guard grille is also available as an accessory. Both the guard grille and the fan housing are made of hot-dip galvanized sheet steel with an extra coating. The outlet side also has an integrated circumferential flange for direct attachment to the radiator. Especially when the fans function with free air (as usual in the case of oil-cooled transformers), the positive effect of this type of fan housing is excellent. It keeps air turbulence to a minimum, increasing the airflow rate and therefore, fan efficiency. Companies that rely on proven GreenTech EC technology are taking one more step in the direction of energy efficiency. EC motors are basically synchronous motors with permanent magnet excitement. 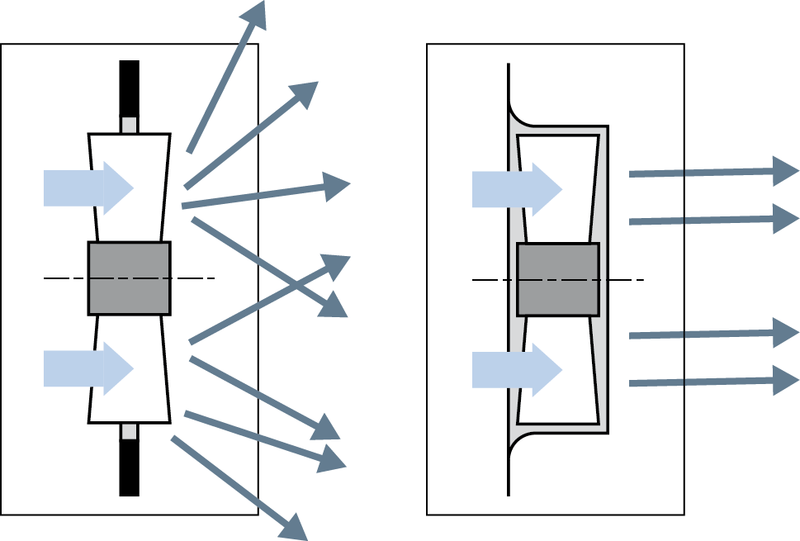 In them, a rotor with integrated permanent magnets synchronously follows the rotating field of the stator, which is generated electronically. The control electronics enable infinitely adjustable air performance (linear to the fan speed), which deviates from the grid-synchronous frequency in partial-load operation at practically the same high level of efficiency. The open-loop speed control can either be specified analogue via 0-10 VDE (e.g. oil temperature or oil pressure sensor) or digitally with a PWM or Modbus signal. When Modbus is used, several fans can be conveniently interconnected. This facilitates the use of diagnostics and monitoring functions, which ultimately contribute to reliable operation. This set up means the entire system can be operated more economically and has a positive affect on the life cycle costs. To prevent hot spots on the heat exchanger after individual fans have been switched off, ebm-papst recommends using all fans in partial-load operation. The consequence is a more even flow through the radiator. A positive side effect is that the motor does not heat up as dramatically, which extends the fan's service life. Another aspect of partial-load operation is the high reduction in energy consumption and operation noise as a result of the physical laws. The electrical input power is proportional to the fan speed to the third power (Pe ~ n³). As a result, it is only 12.5 % when the speed and in turn, the air performance, are reduced by 50%. Logarithmically, this reduces the noise level by 15dB. Partial-load operation not only saves energy and lowers operating costs, but also results in less waste heat. This is especially valuable for cooling applications because heat that is not generated does not need to be dissipated. Commutation and the stator design also ensure very smooth operation. The cycle frequencies are acoustically imperceptible and noise reduction drops. 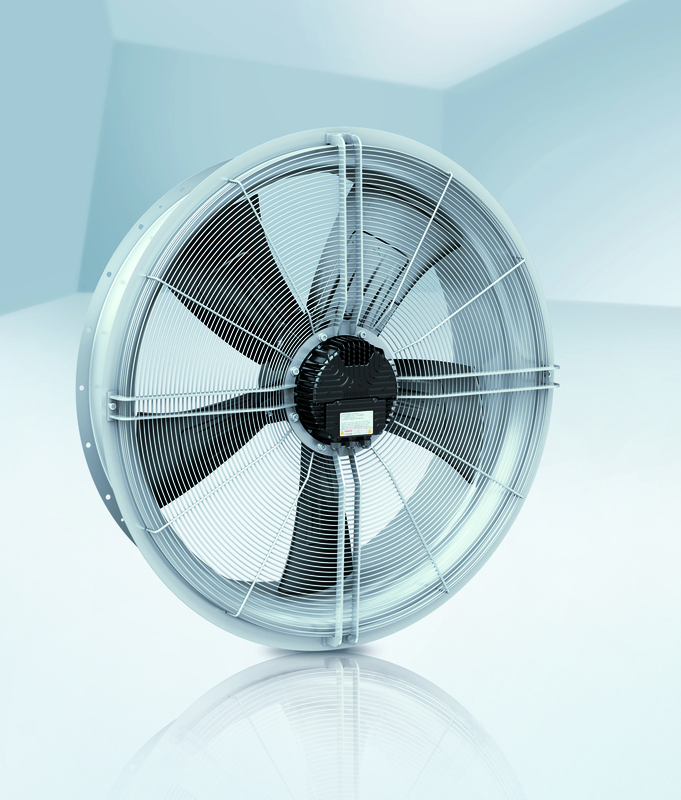 This makes these ‘stealth fans’ ideal for applications in which the noise protection regulations must be observed. 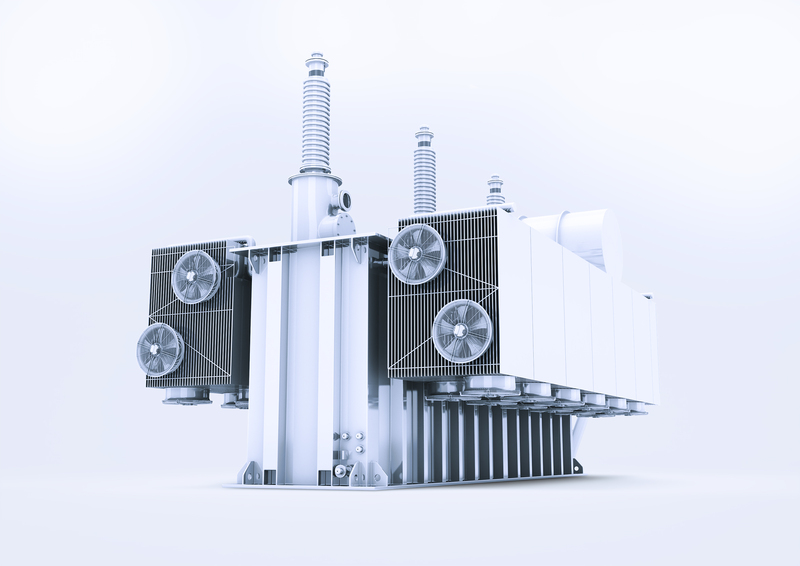 Practice-oriented design details simplify transformer fan commissioning. For example, it is possible to install and mount directly on the fan housing with a horizontal or vertical installation position as required. The motor terminal box for supply connection and control is easily accessible and isolated from the motor electronics. The development team made a point of using high-quality terminals. The fans are perfectly designed for worldwide use. They function on power supplies between 200-240V and 380-480 V (for 3-phase 50Hz and 60Hz grid frequencies), satisfy all the relevant standards (UL, CSA, EAC and CCC) and the requirements of degree of protection IP55, and the rating label satisfies DIN EN 50216-12. Andreas Schneider is project engineer at ebm-papst.